In the PTC business, it has always been a common notion that one’s profits can be increased via the procurement of referrals. 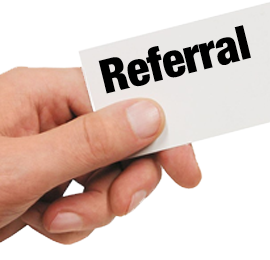 Referrals are individuals who earn for you an amount that is equal to the declared percentage of their earnings per click. In some PTC sites, there are two types of referrals, direct and rented referrals. Operationally defined, direct referrals are those whom you procured through your own efforts; such as but not limited to: promoting the site via advertisements, convincing your friends and family members to join, promoting your link in paid-to-sign up sites and many more. On the other hand, rented referrals pertain to those who were procured by the PTC site itself and are offered to become down line of potential investors so that in turn they (the referrals) would start to earn for him/her. This benefit is made possible given the condition that the investor is capable of paying the rental fee and its renewal fees on a monthly basis. Many people would rather go for the procurement of direct referrals rather than the rented ones considering that they have zero upkeep. However, the process of getting direct referrals is not that simple as it seems. 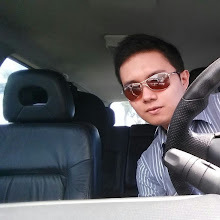 It is for this reason that many PTC users would prefer to have it the easy way and go for rented referrals. Like any other choices one makes in life, renting referrals also pose risks for your investment. Knowing the phenomenon at hand, the usual questions that new PTC users face are: “Should I go over the grueling process of procuring direct referrals or should I simply rent?”, “To which would I be receiving higher returns for my investment?”, and “Are rented referral real people same as direct referrals?” Come to think about it, the questions may simply boil down to one dilemma, “Direct or rented referrals?” These questions may probably be of less concern for those experienced PTC users but let us tackle them for those who are new in the industry or for those of you experienced PTC users who simply want to have some picture of what is actually going on. 1) Is there a significant difference in the clicks per day between direct and rented referrals? 2) Is there a significant difference in the variances of clicks per day between direct and rented referrals? The table above showcases the descriptive statistics for the study. The column of interest here would be that of the “Mean” and “Std. Deviation”. Let us first take a look at the “Mean” column. Well in case you don’t know, “Mean” simply refers to the average. The numerical values being shown in this column simply points out the average clicks of rented and direct referrals for each day. Here we can see that direct referrals would usually have a higher average in clicks (mean of 0.72) than rented ones (mean of 0.62) for each day. Although we can see that there’s a difference, in statistics, we do not simply base our conclusions by looking at these values. Later, we will make use of a statistical tool that will inform us whether the difference is significant or not. Moving on to the next column labeled “Std. Deviation”, here we can again see that direct referrals have a higher std. deviation (0.792) as compared to rented referrals (0.219). Standard deviations pertain to dispersion. Simply said, it refers to how far each referral’s click per day is away from the computed mean. A low std. deviation would signify that most of the referral’s average click for each day is near the computed mean while a high std. deviation would tell us that most of the referral’s average click for each day is far from the computed mean. Relate this to rented and direct referrals, this would mean to say that rented referrals (having a low std. deviation) would usually have averages that are near each other (just a thought: in some PTC sites notice how rented referrals would behave? Now they click, now they don’t. There is no rented referral that would click always and all of them behave in the same manner, thus the result in std. deviation). Meanwhile, direct referrals having high std. deviation would usually have averages situated away from the mean. Take time to observe the averages of your direct referrals, notice that their averages are of the extremes, some very low and some very high because direct referrals who are not convinced of the PTC site would simply quit (thus, the very low average) while those who see it as an opportunity for income keep on clicking (thus, the very high average). Again, although we can see a difference in the std. deviations of rented and direct referrals, as of now, conclusions are improbable without the use of the appropriate statistical tool. In relation to problem one, the column with most relevance would be that of Sig. (2-tailed) located under “t-test for equality of Means”. Observe that there are two values found in that column. Since the variances are heterogenous (let me not explain this further to avoid complexities, but if you really want to then send an e-mail), we would be using the value below (the one in line with the row “equal variances not assumed”). Notice that the value we are referring to is 0.747. This value will be used in order for us to give a statistically reasonable answer to our first stated problem. A Sig. (2-tailed) value of more than 0.05 (in which case our value, 0.747 is) indicates that there is no significant difference between the clicks per day of rented and direct referrals. This means to say that although there is a difference in the clicks per day of rented (0.62) and direct (0.72) referrals, the difference is not big enough that we can say it is statistically significant. Simply said, the difference that we can see in the clicks per day of rented and direct referrals may simply be due to chance alone. This also means that, in the study conducted, direct referrals do not necessarily have more clicks as compared to the rented referrals because the difference is quite small. In relation to problem two, the column with most relevance would be that of Sig. located under “Levene’s Test for Equality of Variances”. The Sig. value that we have over here will inform us whether the variances in the clicks per day of rented and direct referrals have a significant difference or not. Since the Sig. value (0.009) is less than 0.05, we can say that indeed the variances of rented and direct referrals have a significant difference. Remember, the std. deviations we discussed earlier? Well a standard deviation is the square root of a variance so their relevance is almost the same. Having this in mind we can then infer that the std. deviation of rented referrals (0.218) and direct referrals (0.792) have a significant difference. This proves the discussion that we’ve had earlier that rented referrals have averages situated near the mean because they somewhat behave in the same way (now they click, now they don’t) while direct referrals have averages that are mostly away from the mean because they behave differently (probably, some quit so they have low averages while others are really into it so they have high averages). All in all the results of this study point out that although direct referrals clicks a little bit more compared to rented ones, the difference is not big enough for us to conclude that it is statistically significant. Apart from that, this study also points out that there is a significant difference in the variances of clicks per day between rented and direct referrals.